Exonerating the innocent. Correcting cases of manifest injustice. The impact of the Arizona Justice Project’s impact is realized throughout the year in the people whose lives are immeasurably changed. Yet, within the pages of the Project’s 2016 Annual Report, this is where it all comes together to demonstrate the depth of the difference being made on a broad scale. 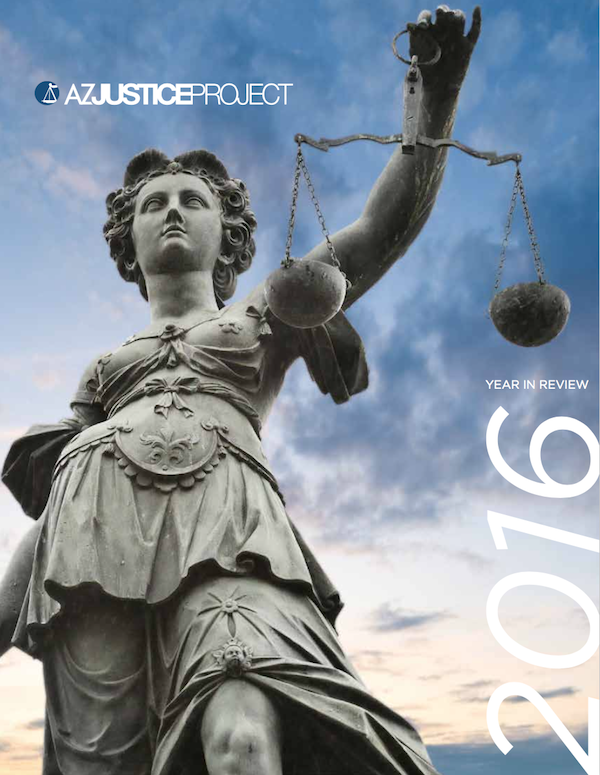 Receiving nearly 400 requests for assistance in 2016, it is no small fete to pre-screen review, conduct fact investigations, and litigate in court or provide representation in front of the Arizona Board of Executive Clemency. There’s much to celebrate at the Project: Our accomplishments that include our growing outreach efforts to educate and inform the community on issues related to wrongful convictions. Our recent move to the Beus Center for Law & Society, the new home to the Sandra Day O’Connor College of Law at Arizona State University. But in the end, it all comes down to the teams at AJP who are inspired by its mission of service to others every day. From the Administrators, board members, and office staffs, to the case workers, Re-Entry Team, Post-Conviction Clinic, interns, pro bono partners, creative partners and more, they’re proud to work together to seek justice for the innocent and wrongfully imprisoned – the marginalized and forgotten of Arizona’s criminal justice system.